2012 marks half a century since the very first Cobra was released on the street, and to celebrate, Shelby has announced a limited-edition 50th Anniversary model that was introduced at Barrett-Jackson earlier today. Using CSX8000 chassis numbers, each of the continuation cars will be painted in "Shelby Black" and feature a premium leather interior, wire wheels and special badging. Pricing for a 50th Anniversary Cobra rolling chassis (car minus drivetrain) is set at $69,995 or $134,995 for an aluminum-bodied car. Expensive, yes, but with just 50 units slated for production, we can see them getting snapped up pretty quickly. Hit the jump for the full details from Shelby. 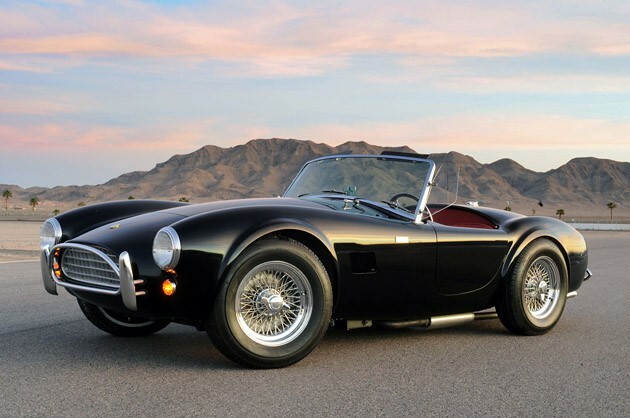 Shelby celebrates original Cobra's 50th anniversary with special edition continuation car originally appeared on Autoblog on Fri, 21 Jan 2011 19:57:00 EST. Please see our terms for use of feeds.